Turn empty boxes into clever Eco engineering with the box bug Kit. Make the box walk, hop, stomp, and drive away. Build the box into a bug that hops. 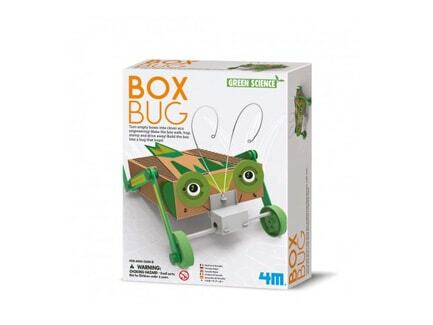 The box bug Kit is another great green science Kit from 4M Industries.